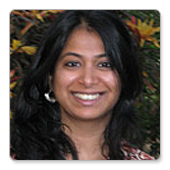 Dr Ranganathan's paper will be based on her newly published monograph Strategically Created Treaty Conflicts and the Politics of International Law (CUP 2014). The monograph calls attention to the fact that small groups of powerful States have often sought to coerce and capture multilateral legal regimes by creating treaties that conflict with them. It explores theoretical possibilities of legal regulation of such politically charged treaty conflicts, and investigates their empirical dynamics in regimes for seabed mining, nuclear governance, and international criminal justice. Dr Surabhi Ranganathan is currently a Research Fellow in International Law at King's College, Cambridge and the Lauterpacht Centre for International Law, an Affiliate Lecturer at the Cambridge Faculty of Law, and Assistant Editor of the British Yearbook of International Law. She is assistant editor of the Cambridge Companion to International Law. She holds a PhD in law from Cambridge and law degrees from New York University and the National Law School of India University, Bangalore. Her first monograph, Strategically Created Treaty Conflicts and the Politics of International Law (CUP 2014, forthcoming) explores international legal thought and practices of treaty conflict and implementation, with a focus on conflicts pertaining to nuclear governance, the International Criminal Court, and the seabed.